When viewed from a distance, a kid’s world seems like a life full of fun, excitement, dreamy world of unlimited happiness. The arrow of reality only strikes when one becomes a parent. The real struggles with every little thing seem like climbing a mountain range. One of the highest mountains in this range is food. Delicious, appealing food is welcomed by kids but the ‘healthy’ fact does quite fit with all those food. In order to make them healthy and delicious, foods are given makeovers in ways that can get one surprised. Parents are the true fairies and angels in a child’s upbringing. Home-made food is the best food that can be offered to a baby. Children’s diet can be gradually shifted to a wholesome diet which includes intake of dark-green vegetables, fruits, whole-grains, beans, peas etc. Whole-grains are one of the beneficial ingredients. Oats comprises of this whole grain category just like brown rice and whole wheat. Oats are baby-friendly food and it takes less time for preparation. 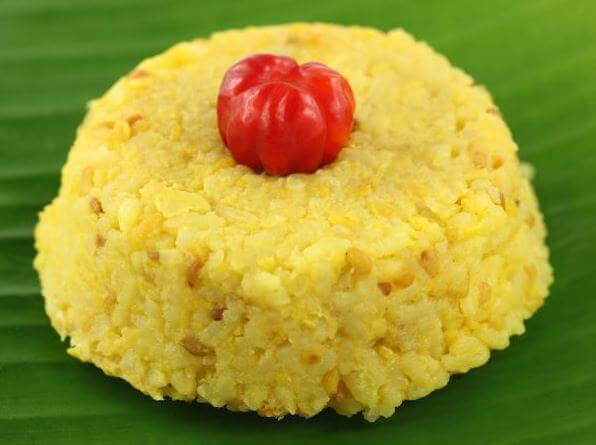 Khichdi is an Indian rice dish. In this recipe, rice is substituted with oats. Rinse the vegetables and chop into cubes. Add 1tbsp of olive oil to a heated pan. Add the chopped vegetables and stir until half cooked. In a pressure cooker add oats, half cooked vegetables, water, salt (as per requirement) and one tsp of turmeric. Cook and serve the oats and veggies with butter, ghee or it can be garnished with lemon. 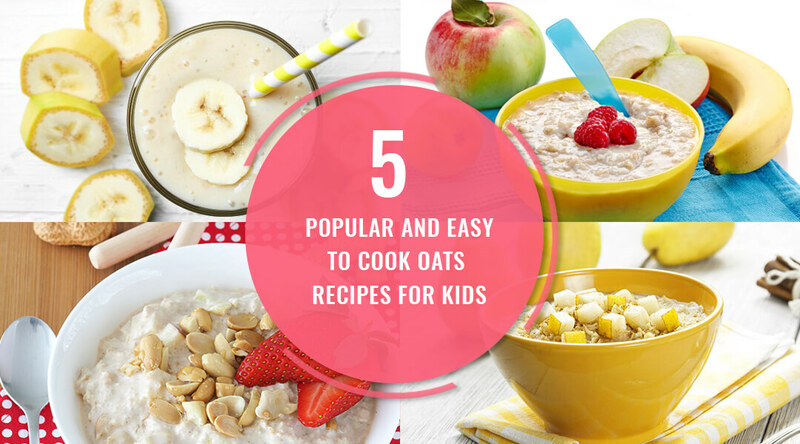 Milk oats porridge is one of the most kid-friendly dishes and it can be easily prepared. The steps include, first heat the pan and add one tbsp of ghee or butter. Add a half litre of milk, sugar, cashew nuts and stir well. When the mixture becomes dense add the oats. Let it boil for 5mins and serve hot. 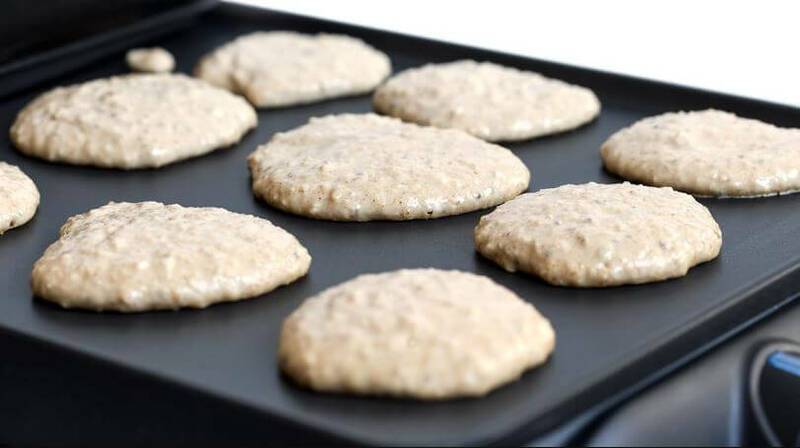 Oatmeal pancakes are tasty and the bonus is they are one of the healthiest pancakes. A breakfast with pancakes is a breakfast done well. To make the batter, first mix oats, egg, milk or water and sugar. Stir, mix all the ingredients well and the batter is prepared. Heat one tbsp of butter in a pan and add the mixture in the shape of a pancake. Serve this yum dish with chocolate syrup, jam or honey. 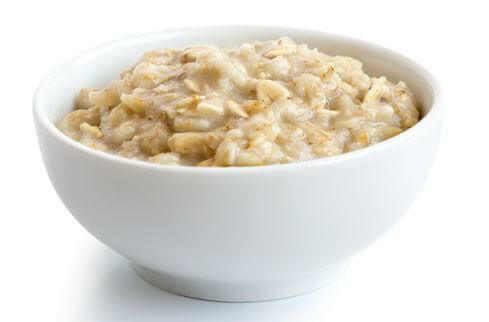 Vegetable oats porridge is a healthy morning dish for those kids who dislike sweet porridge. 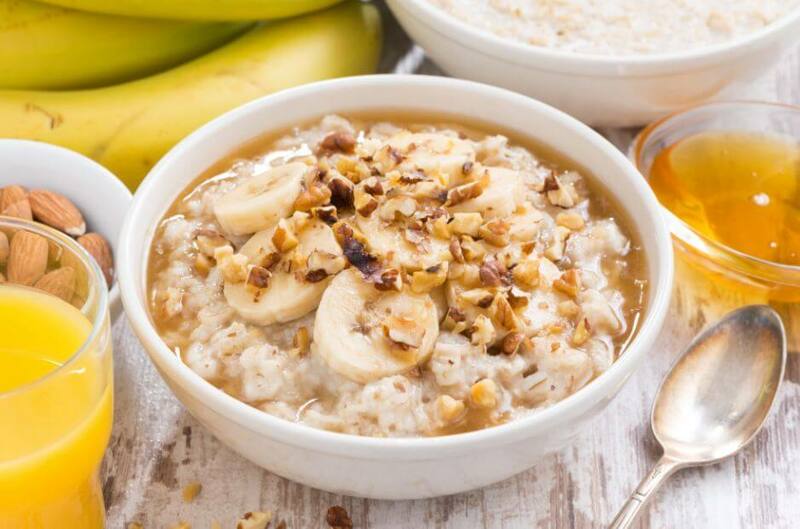 The recipe for this porridge involves simple steps. First heat the pan, add olive oil and saute the chopped vegetables in the heated oil. Remove the pan from heat after 5-7mins. In another pan add water, oats, salt and the vegetables. Cook the mixture for 10-15mins. Garnish with coriander and serve. This recipe offers a wholesome nutritious diet to a kid. The oatmeal curd is one proper breakfast that one can offer to his/her kid. This is the easiest meal that needs no cooking. Add oats and jaggery or sugar to a bowl of curd, mix well. To enhance the taste add raisin and serve. These recipes are easy, healthy and at the same time delicious. To have a proper growth of a child the diet requires all sorts of nutrients, vitamins, and energy. Taking all things into consideration, a child’s appetite and attraction are the main highlights of food. 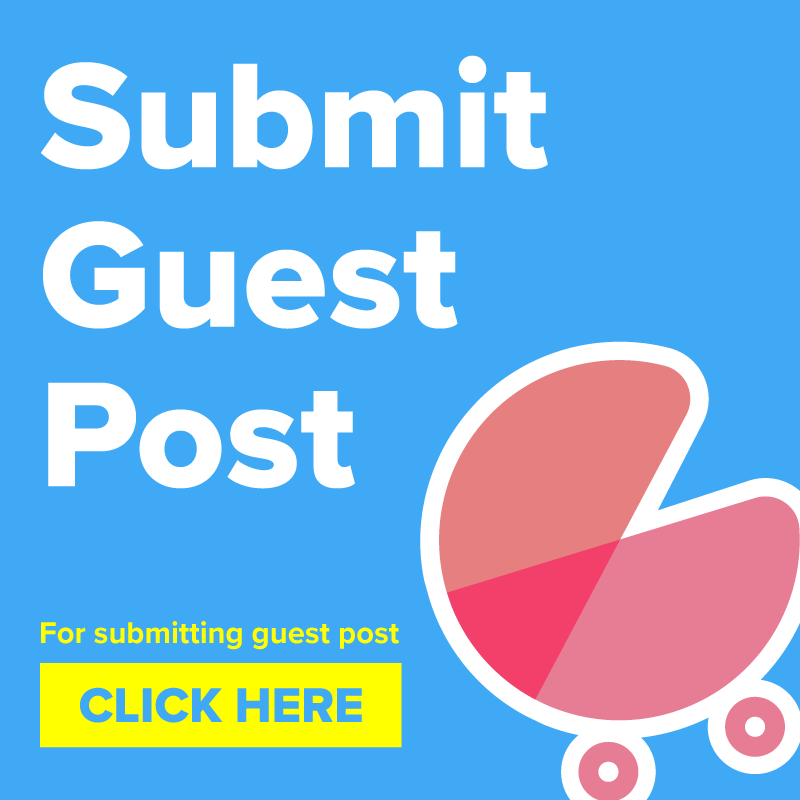 Parents being the chef needs to come up with innovative ideas to make the eating process an enjoyable one rather than a time struggling with food. Make your kid’s childhood an experience to cherish for the later years to come, with delicious and tasty food memories. 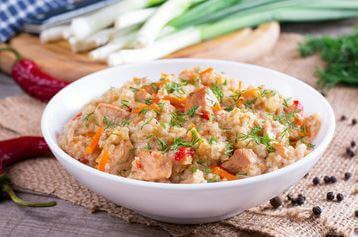 Thanks for adding more recipes on Oats as it is a bundle of nutrients. I tried giving Oat Chilla made with cut onion and tomatoes and my daughter loved it alot. 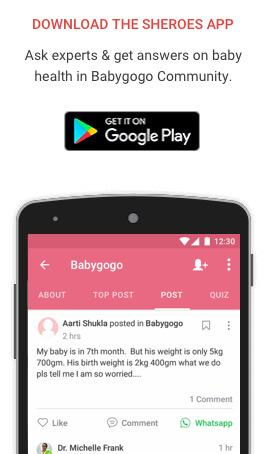 Is oats good for 10 month baby? Yes, it is. You can also try several other Semi-solids too for your baby.